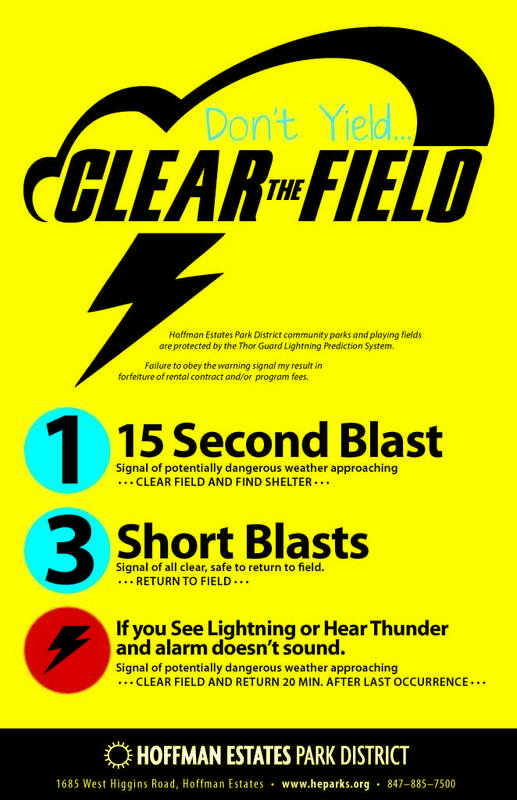 The Hoffman Estates Park District utilizes the Thor Guard Lightning Prediction system at our facilities and parks. The system helps alert patrons to hazardous weather conditions. Watch a video about Thor Guard here.